Turning your passion into your job – a dream, especially for sports enthusiasts. 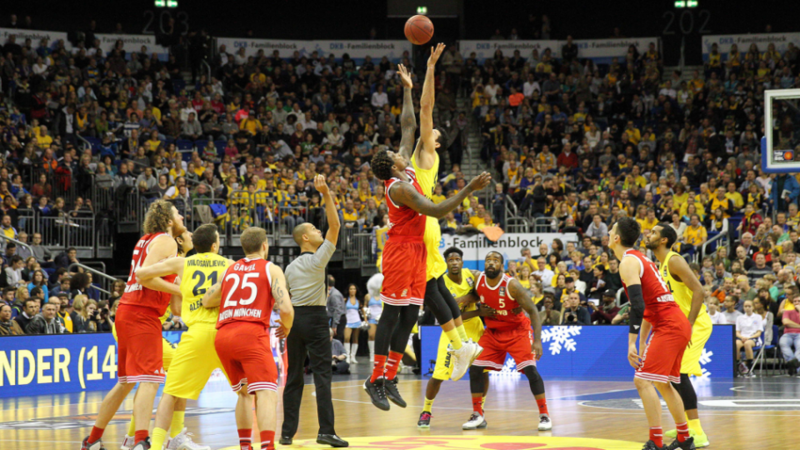 Basketball has much more to offer than sports entertainment, and no one knows this better than ALBA BERLIN, one of Germany’s most successful basketball clubs. As an expert in the professional sport you love so much, you’ll understand opportunities and prospects inside and out and prepare global players, such as the German number one, for the challenges of the future. Become a sport & event management champion! This bachelor program offers a unique opportunity to become a real expert: you will study Sport & Event Management at University of Applied Sciences Europe in Berlin and gain an excellent academic education in the principles of management and business administration. At the same time, you will be granted a position at ALBA BERLIN, giving you insights behind the scenes of the biggest basketball club and one of the leading professional sport clubs in Germany. Study and working schedules are perfectly harmonized. Our university focuses on your development. That’s why we teach in small learning groups and in a friendly and personal atmosphere. You will be taught by renowned lecturers with both scientific and business backgrounds. You will study at a campus that is centrally located, equipped with the newest technology, and known for its international and English-speaking character. At University of Applied Sciences Europe you even get the possibilty to actively shape your studies and your career path. Depending on your personal career goals, you will select your own specializations and choose from a range of interdisciplinary subjects. For example, the optional specialization in Basketball Management opens doors for you to professional sport career opportunities around the world. This is a unique offer in all of Europe which guarantees that you will be perfectly prepared for the job market of tomorrow. ALBA BERLIN College has been jointly founded by ALBA BERLIN and University of Applied Sciences Europe. This offers the students a lot of advantages. You will get an exclusive tutorial and mentorship program designed to support your development! Furthermore, the unique combination of academic and practical experience of the 4-year program makes you an expert in Sport & Event Management and offers you manifold career options. Founded in 1989, ALBA BERLIN has become one of the most successful sport clubs in Germany, as well as a key player in European basketball. 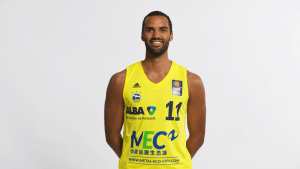 ALBA BERLIN has won eight German league titles, nine German cups, and the Korac Cup. ALBA BERLIN has played in a European competition and German playoffs every year since the beginning. This is the result of more than 25 years of successful sport management and talent development, and you can be part of. Every ALBA BERLIN match is a big unforgettable event with around 11,000 passionate fans in the well-known Mercedes-Benz arena, making these the largest basketball event in Europe. ALBA BERLIN has also established the biggest basketball youth program in Germany with more than 100 active trainers and employees serving 3,500 children at least once a week, offering additional diverse career opportunities. ALBA BERLIN and University of Applied Sciences Europe have jointly developed a schedule that is optimized for you. Study and exam times are perfectly harmonized with the peak times of the basketball season. From the 1st to the 4th semester you will get to know the fundamentals of business administration, including marketing as well as other subjects (e.g., corporate management and controlling). At the same time, you will specialize in Sport and Event Management by attending classes such as sport marketing, sponsorship and event production. Of course, you will also be asked to organize several events, facilitating a good combination of theory and practice. Professors and lecturers with professional experience use a practical approach, which includes case studies, business games and study trips. Design your study program individually starting with the 5th semester! You will be able to choose courses from 10 different modules – a customized study plan just made for you. These modules include courses such as human resources management in sport, ticketing & hospitality and planning cultural & social Events. ALBA BERLIN and the University of Applied Sciences Europe have jointly developed the Europe-wide unique specialization in “Basketball Management”. 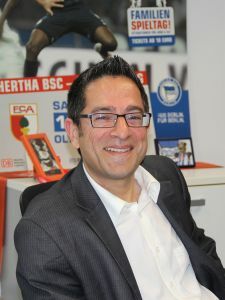 Here you will learn all you need to know about the business of basketball in Germany and Europe. Of course, we will also have a closer look at the NBA in the USA, known as the best basketball league in the world. Your lecturers will be experienced professionals from Club and Federation Basketball. Learn from the best! As a private university, University of Applied Sciences Europe is funded not by the state, but by tuition fees. For this reason, studying at University of Applied Sciences Europe costs more than at a public university. But it’s worth it: Our graduates meet essential requirements of careers in business, and this sets them apart from the graduates of many public universities. Your employment and earnings prospects are greatly improved. We are happy to provide you with information on funding your studies and on any available scholarships. If you have any further questions, our Student Guidance Office can provide you with detailed information. Find out useful information on bachelor funding in Germany on this website. Our Student Guidance Office is happy to provide you with information on funding your studies and on any available scholarships in Germany. Please do not hesitate to contact them! The study program starts every year in August. From December onwards, it is possible to apply for the next next program beginning. The application deadline is June 15th of every year. Please be aware: We accept students on a rolling basis, i.e., we evaluate applications as soon as they are received by us. Therefore, the earlier you apply, the sooner you will know the result of your application. We will only continue to evaluate applications until they have filled all the slots available (max. 25 study places). • Viele studentische Initiativen, u.a.